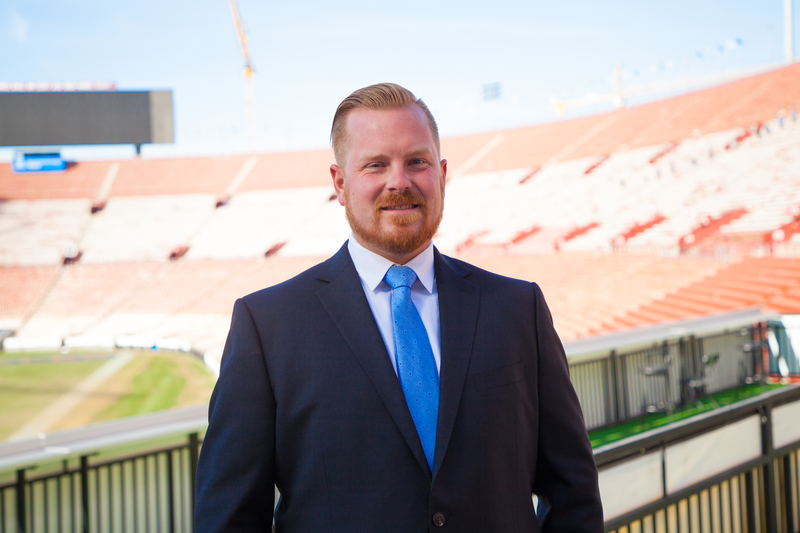 Brian Grant serves as the Senior Associate Director of Facilities and Project Management at the Los Angeles Memorial Coliseum. Under his scope of work, Brian oversees all the day-to-day maintenance and repair tasks for the Coliseum as well as capital planning and projects for the facility. Brian’s role also sees him managing the deliverable items for all events held in the Coliseum. Brian joins the Coliseum team after spending three years in the athletic department of the University of Minnesota where he oversaw facility operations at both Williams Arena and TCF Bank Stadium. Brian received his B.S. in Sport Management and B.A. in Broadcast Journalism while at Minnesota as well.